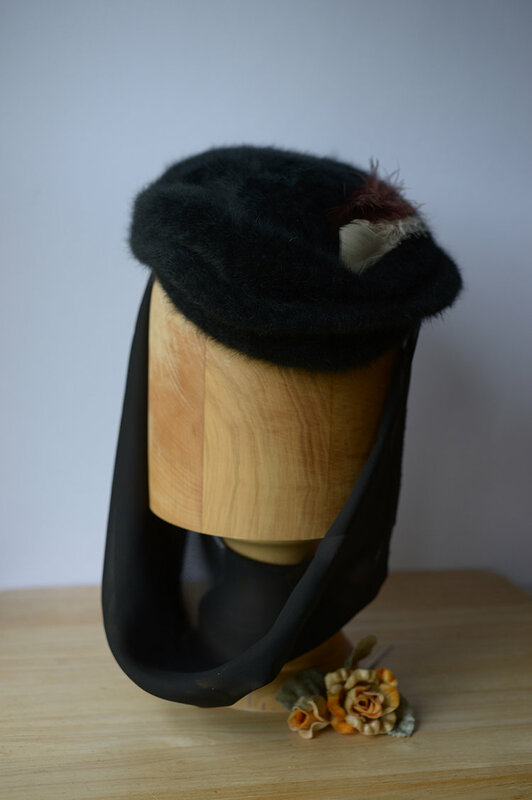 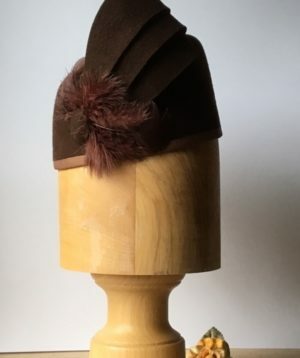 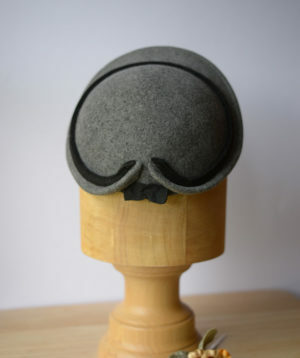 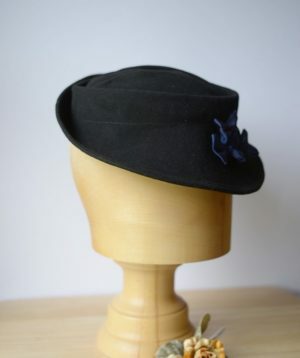 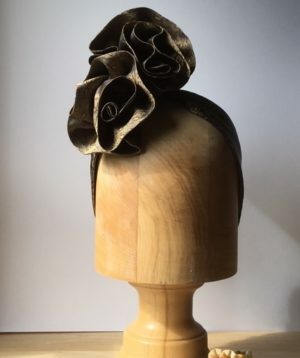 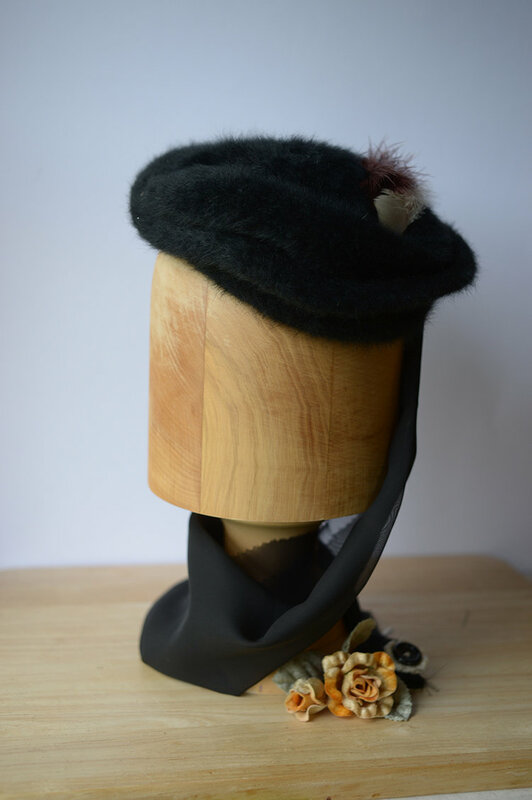 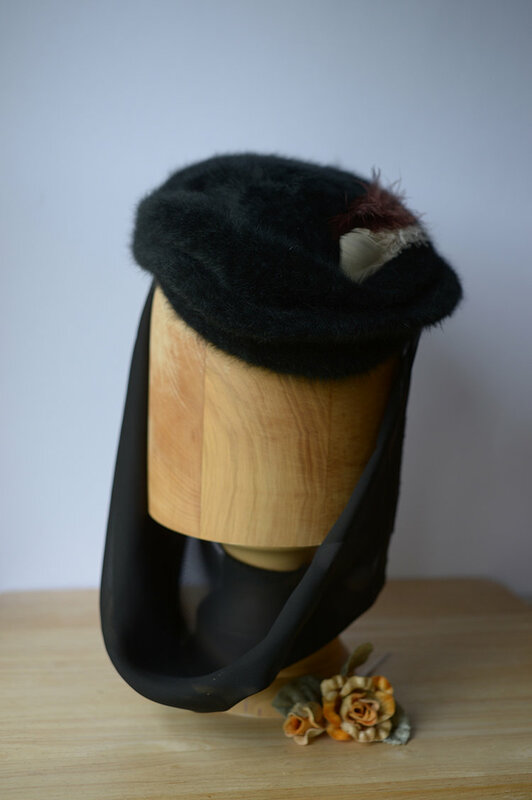 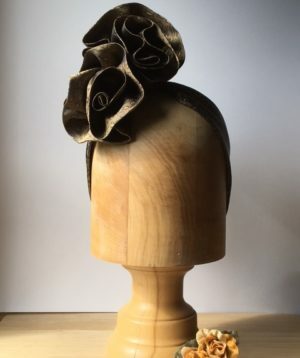 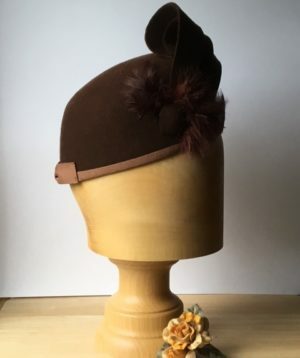 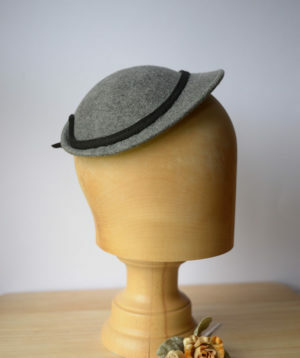 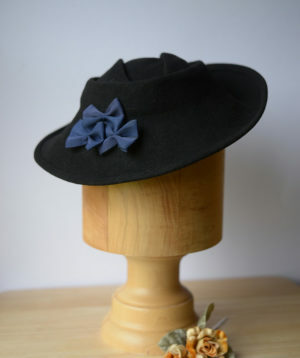 This hat was inspired by the film Mrs Miniver and has been a popular style. 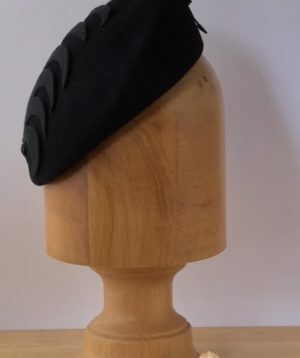 It is made from a pseudo fake fur effect fabric, very soft to touch and pliable therefore easy to mould and alter shape to suit wearer and hairstyle. 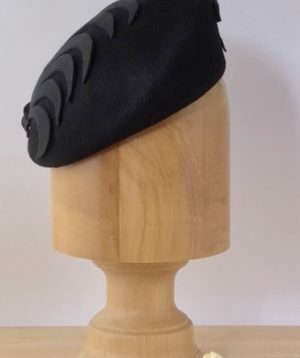 It is finished off with a plum and grey feather to the left at eye level and is fixed on the left hand side with a soft sheer mini scarf which can be flicked over the opposite shoulder or pinned up with the attached button broach.